Do icomfort infrared saunas offer anything different and will you be pleased with this brand? You should want to own and use your infrared sauna for a lifetime. We want this icomfort sauna review to save you hours of time and frustration. As a quick summary, icomfort saunas are a mass produced lower quality unit. 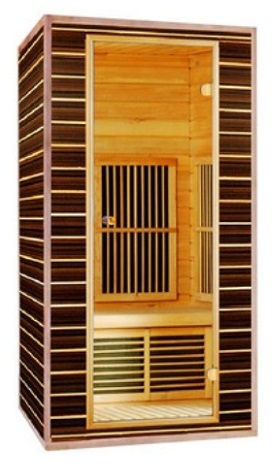 These low quality saunas will warm you up but will not provide substantial healing or detoxification. They are known as recreational. They are similar to other forms of recreation such as jogging or cycling. They will elevate your heart rate providing a limited amount of a passive cardiovascular workout. Additionally, they will warm you up and promote sweating. However, this is a surface sweat that is not releasing substantial amounts of toxins. As we have often mentioned on our site, most saunas are mass produced on 4 assembly lines in China. Almost anyone can become a reseller of these units, which is what icomfort has done. These are simply low quality units produced with the icomfort name placed on them. This is how 95% of all products on the market are made. These companies are what we term re-sellers as they simply re sell the mass produced units. Some resellers will go as far as to add a few extra small features such as exterior lights or additional stereo components to differentiate them from the competition. We recommend you instead consider Vital Health Saunas which has a long history of excellent customer service, a great warranty and most importantly, effective well designed units. They would be a much superior option. You will be pleased with Vital. Icomfort saunas has a suggested retail MRSP of between $2000 – $4300. However they are often sold at prices between $400 – $900 per unit. Typically, when you can obtain a unit for under $1500 at a large retail chain, you will be getting an inferior product. The reason comes from how these are manufactured and what parts are used in the assembly. Icomfort has primarily three different types of product lines. The 1200 series is made of hemlock with some walnut exterior panels, giving this line a rather unique look among the industry. Very few have used walnut in the construction. To give the units even more stylish design, a lot of vertical slats are used in front of the heater panels. However there is a major drawback. Similar to the Rocky Mountain Sauna products which utilize this same design, these vertical slats have their own drawbacks. The main drawback is a further reduction of the low amount of infrared reaching your body. Infrared waves do not penetrate wood. Therefore all of the vertical slats are blocking up to 50% of the infrared. This is the opposite of what you want in a sauna session. Like all of the incomfort units, this line carries a very limited one year warranty on electrical, heaters and cabinet wood. The 1300, 1400 and some of the 1500 series are made of hemlock inside and out. The cabinet, similar to the 1200 series is sturdy and assembles in less than one hour with two people. Hemlock is an acceptable wood for this application and is chosen as it is an inexpensive wood to use. Poplar and cedar are the best options. The 1500 series also comes in red cedar and has a few amenities such as control panels on the exterior and interior. As with all units, stereos and lighting are included. Below is the inside of one model showing no front wall or side wall heaters which are critical to a good detox session. It will also result in much longer warm up times. Icomfort primarily focuses on appearance and their units do look good. As well, exterior lighting and USB ports are other amenities added. However, the critical feature of a sauna should be its high level of infrared light wavelengths. This should also be near the optimal wavelength of 9.4 to penetrate deeply. The other important feature should be a solid warranty. A strong warranty demonstrates two things. First, that the company believes the product to be quality to last a lifetime. The second very critical aspect is the company believes it will be in existence for decades as well. One serious problem which has plagued this industry is the number of companies which start as re-sellers of generic products and then are out of business within 5 or 6 years. We have been contacted by numerous consumers with cheap saunas wanting to know where to get replacement parts and heaters. Unfortunately in most cases the company no longer exists and the consumer is stuck with an unsupported broken product. In these cases there is almost no recourse for the consumer and no access to parts or repairs. Yes, however the sweat will be surface sweat laden with electrolytes. You will need to actively replenish electrolytes if you choose to use this brand. In contrast, true quality infrared waves will penetrate the skin and deep into tissues. They will penetrate into the fatty cells and cause the fat cells to release toxins to be sweated out of the body. However, this brand of icomfort saunas provides lower power light waves. So while you will sweat and feel like you are in a sauna, deep detox is not taking place. One indication of this is the large amounts of square inches of carbon heater panels used. On most models the panels go almost to the ceiling. This is needed to try to heat the surfaces of the sauna to compensate for the lower amount of heat and infrared. 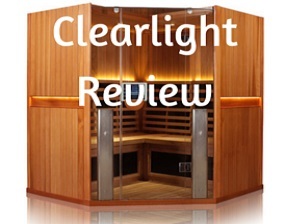 In contrast, a top quality infrared sauna such as made by Clearlight or Heavenly Heat provides exceptional, deep penetrating infrared that will release toxins from the deeper tissues. Please contrast that to the warranty of our top recommended company – Clearlight. This recommended company carries a full lifetime warranty on heaters, wood, radio, electrical and all parts of the units. That is what you want to look for. Unfortunately it is extremely rare in this industry. It is an easy industry to enter and leave and many companies do exactly that. 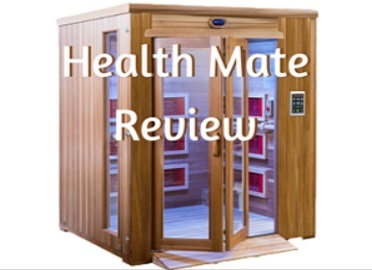 Vital Health Saunas, offers excellent products with a very good warranty, adds more heaters of better quality with excellent service during its 9 year history. Uncomfortable cheap plastic carbon heater in floor will accumulate dirt, sweat and toxins. We recommend you look at Vital Health Saunas instead of this brand as it would be an excellent choice in this situation. Vital is a great value for the money and will provide all the benefits that these types of products are known to provide. You will not receive detox, healing or therapeutic health benefits from an incomfort infrared sauna. 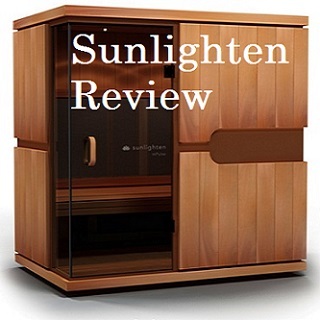 What is infrared sauna? When you understand the healing power of infrared, you will want to purchase a sauna you can own for a lifetime. At Healing Heat Therapy, we want you to gain health benefits from it for decades. Please see our recommended brands and comparison tables for your best choice.